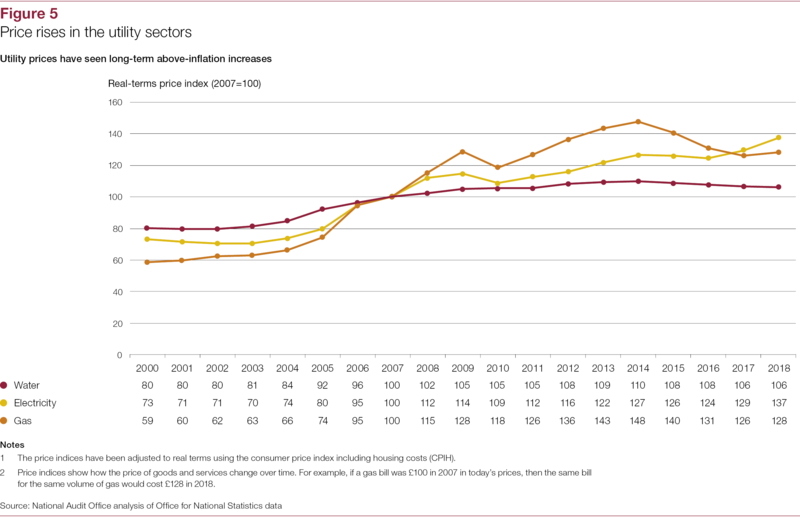 UK households spend a total of around £140 billion a year in bills on water, energy and telecommunications, and fees and charges in financial services. These sectors provide services that are critical for security, well-being and social participation, which consumers purchase directly mostly from private companies. 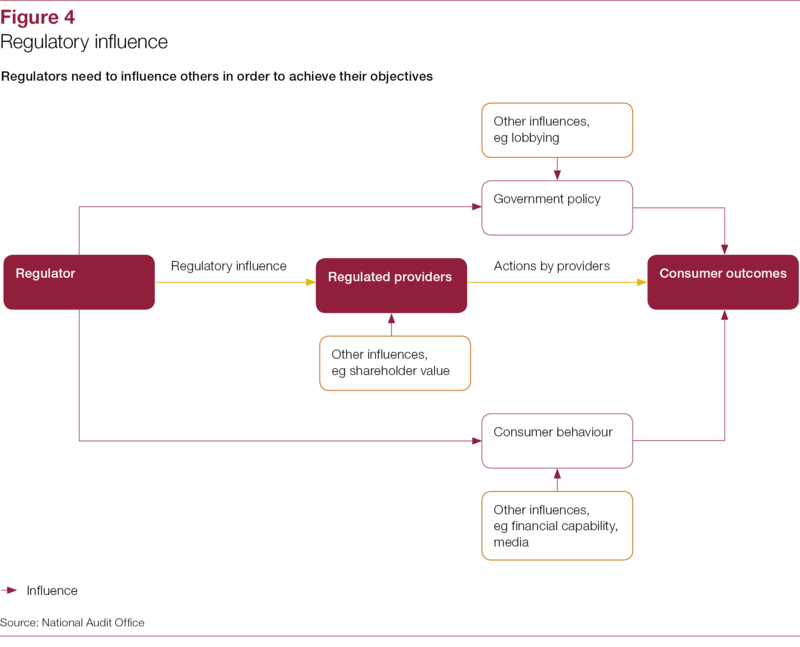 Each sector is overseen by a regulator to ensure that services are provided in a way that meets public policy objectives, including that markets work well for consumers. 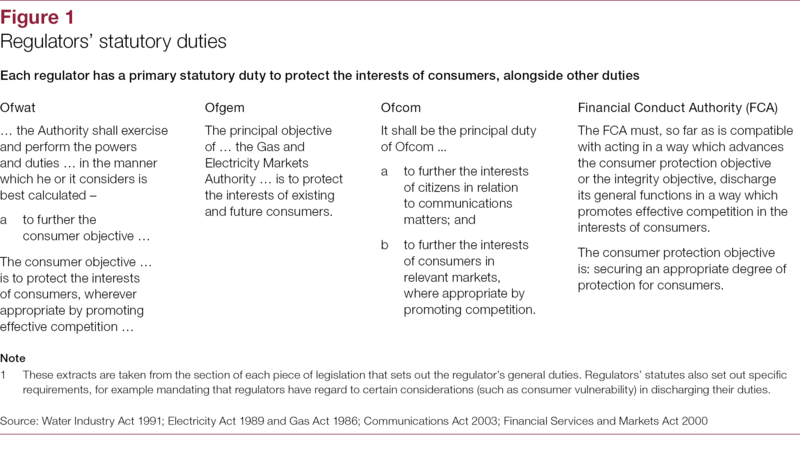 The four main regulators of these sectors – Ofwat, Ofgem, Ofcom and the Financial Conduct Authority (FCA) respectively – were set up to be directly accountable to Parliament, independently of government. Their long-term high-level objectives are set out in statute, including a primary statutory duty to protect the interests of consumers. Government, Parliament and consumer representatives have expressed concerns about whether these sectors are working as well as they can for consumers, raising questions about the effectiveness of the regulators. In protecting the interests of current and future consumers, regulators have to consider the often-competing needs of different stakeholder groups. 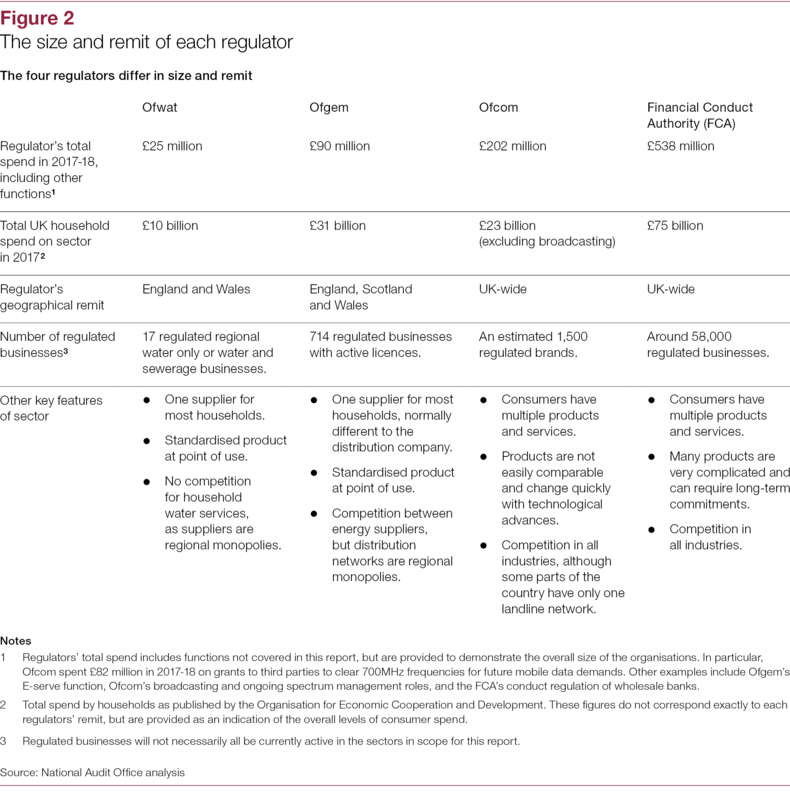 The outcomes regulators are seeking to achieve can also be affected by a range of factors over which they have limited influence, such as droughts or changes in the wholesale cost of energy. Faced with these challenges and differing views over their effectiveness, it is vital that regulators measure and report transparently their intentions and achievements in meeting their duties towards consumers. 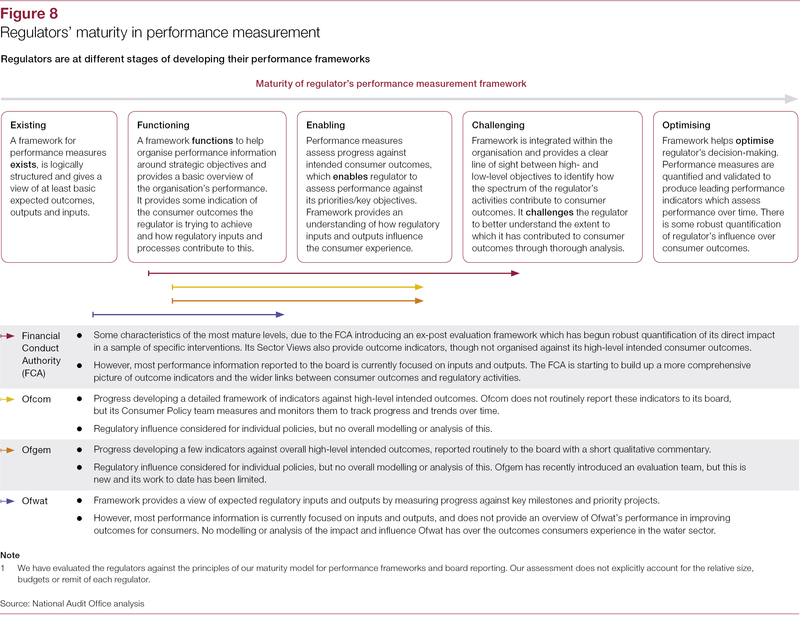 whether the regulators report performance publicly in a way that is useful for Parliament and other stakeholders to hold them to account (Part Four). 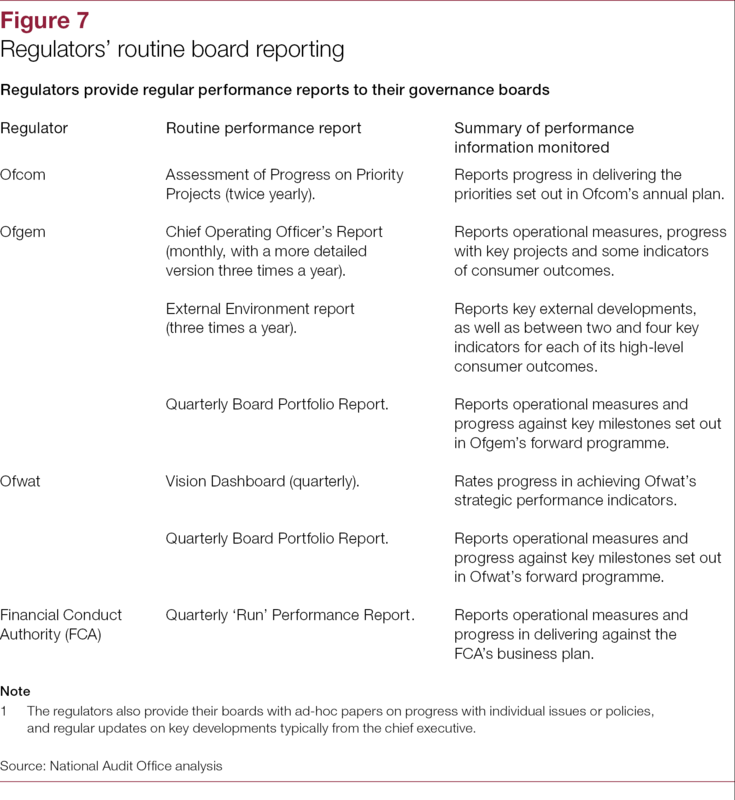 The report does not evaluate the regulatory performance of each regulator, and it does not focus on their other statutory objectives. 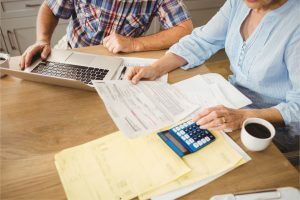 Consumers of regulated services are facing a number of significant difficulties, from rising bills to the impact of service failures. The regulators who have statutory duties to protect consumers in these sectors all face common challenges in meeting their objectives. They have to balance the often-competing needs of consumer and provider interests, alongside other duties covering issues such as sustainability, security of supply, or financial stability, and they often have only limited influence over outcomes. 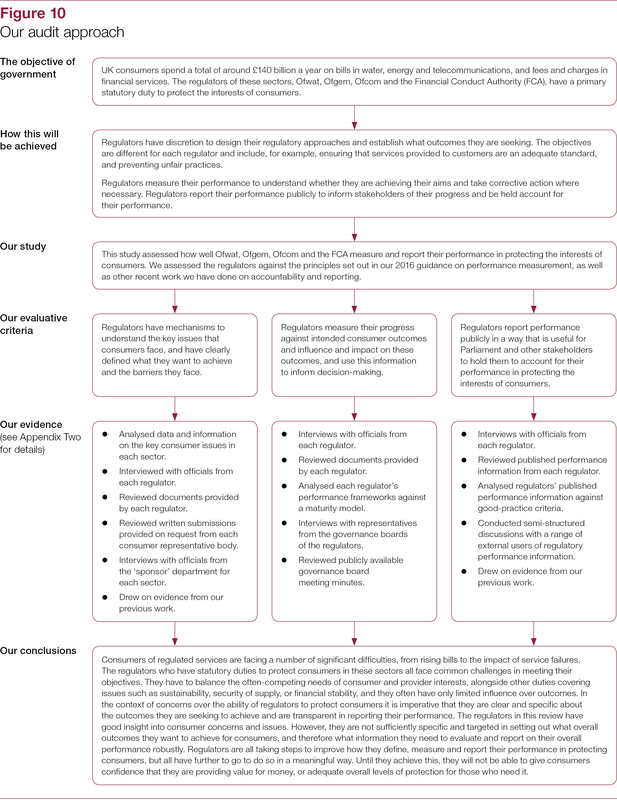 In the context of concerns over the ability of regulators to protect consumers it is imperative that they are clear and specific about the outcomes they are seeking to achieve and are transparent in reporting their performance. 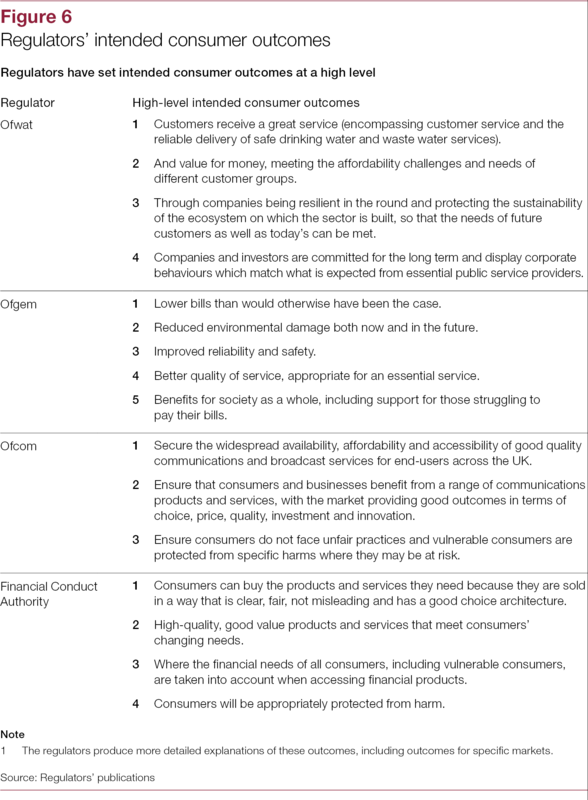 The regulators in this review have good insight into consumer concerns and issues. However, they are not sufficiently specific and targeted in setting out what overall outcomes they want to achieve for consumers, and therefore what information they need to evaluate and report on their overall performance robustly. 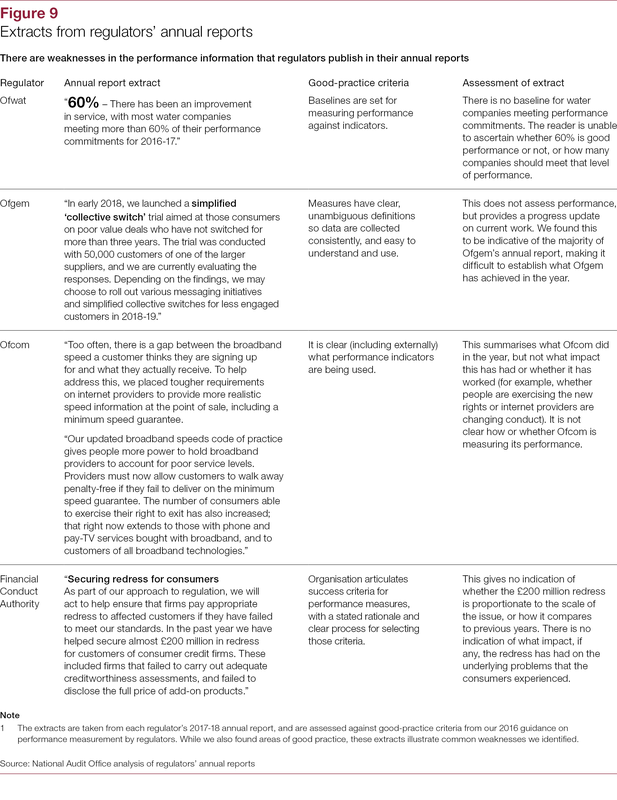 Regulators are all taking steps to improve how they define, measure and report their performance in protecting consumers, but all have further to go to do so in a meaningful way. Until they achieve this, they will not be able to give consumers confidence that they are providing value for money, or adequate overall levels of protection for those who need it. 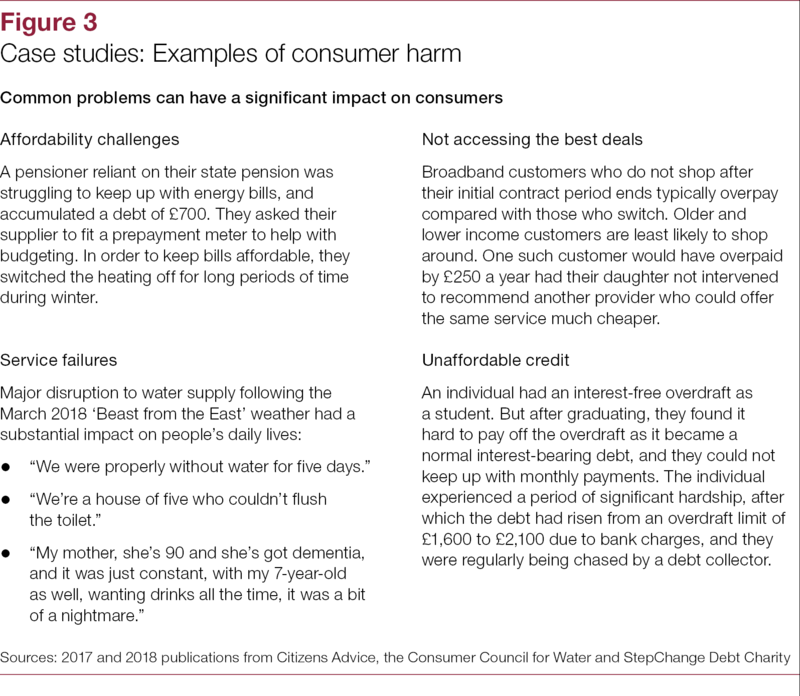 The four main regulators understand the significant difficulties facing consumers, but cannot prove if they are effectively responding to consumer concerns or offering enough protection for those who need it. Find out more in this video.